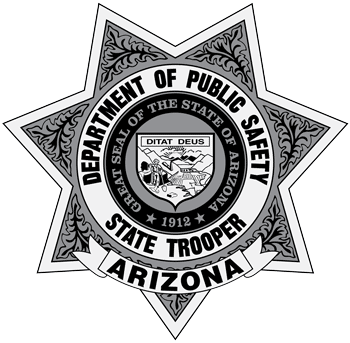 Phoenix— The Arizona Department of Public Safety (AZDPS) is reporting no collision fatalities on state highways patrolled by AZDPS during the 2018 Thanksgiving holiday, from Wednesday evening November 21, through Sunday evening November 25. This success is due to the combined efforts of the Governor’s Office of Highway Safety, the Arizona Department of Transportation, AZDPS and most of all the public. Below are the fatal collision statistics for Arizona highways during the last five Thanksgiving holiday travel periods. “Every year we strive to have zero highway fatalities during any major holiday weekend. This past Thanksgiving weekend we managed to achieve this goal in large measure through the great work involving the women and men of the Department who patrolled our state highways, the Govenor’s Office of Highway Safety and the Arizona Department of Transportation. However, the greatest factor in this success was the support of the public who heard the message about traffic safety and drove with due care,” said Col. Frank Milstead, Director of the Arizona Department of Public Safety.